Discussion in 'General Discussion' started by Taris Henrique, Jul 10, 2018. Reiza Studios added 18 new photos. We´re pleased to announce a new partnership with Studio 397 for the release of the Reiza rF2 Bundle! This bundle will bring a few of our cars and tracks to RFactor2, both individually and as a bundle package. More details about the content, pricing and release of the Reiza rF2 Bundle will be disclosed soon - for now check out this gallery showcasing our progress so far! TTMTK, WiZPER, Gerard Tillman and 29 others like this. Regarding the content: Ibarra will look glorious at sunset, and Guapore is a fun, fast track. The MCR2000 is as ugly as sin and a joy to drive. RF2's FFB will lap up the Formula Vee. And the Metalmoro AJR (it's a real car) should provide Prototype thrills. Let's hope the port goes well for all concerned. That's fantastic news really ! Can't wait to drive the Metalmoro AJR (it has LMP2 specs IIRC) in rF2. Historic tracks and cars please! billyblaze, Alex72, bwana and 6 others like this. As a brazilian who was at Tarumã and worked with Metalmoro crew, I cant wait to drive these brazilian beasts! Jeferson Richart and muzikant like this. Nothing but great news on the rF2 front lately. The AJR in particular I can't wait to see. GPNeville, vegaguy5555, peterchen and 5 others like this. bwana, Duncan and Mauro like this. Ah, but is it Ibarra or Ibarra Reverse? Many simracers have said that the track roster in Automobilista is uninspiring (not enough "classic" circuits, too many Brazilian tracks). I've always thought the opposite - there are a lot of pearls in there. matt.f.beavis, Ernie, M.Vindis and 9 others like this. vegaguy5555 and muzikant like this. Speaking of historic tracks, I really hope Imola '72 will be converted as it is fantastic in AMS and I don't think it exists in any other sim. There are 4 versions of Imola and they are all outstanding but '72 has my preference for its looks and no chicanes. There's also historic Adelaide (1986, I think) and Hokeinheim 1977, all part of DLCs for AMS. Alex72, vegaguy5555, RaceNut and 1 other person like this. Pretty amazing to see the best two sims on the market joining forces. I hope there will be a historic track pack, because that's where AMS really stands out. I would easily pay for the legendary tracks converted to rF2 again. 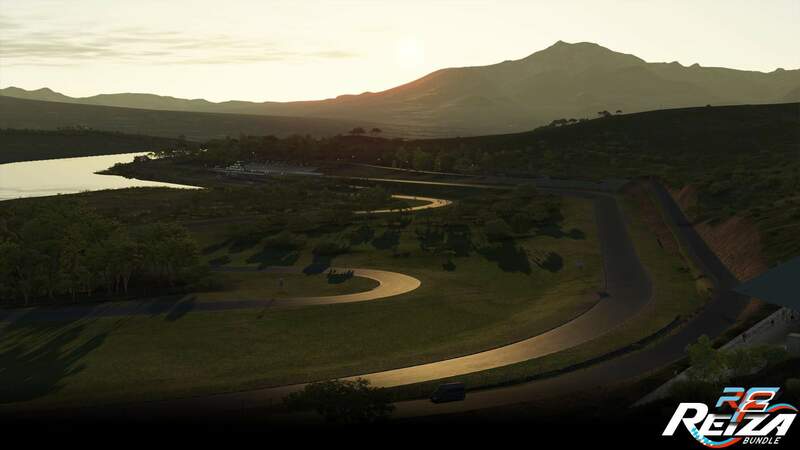 Historic Spielberg, Kyalami, Interlagos, Imola and Hockenheim would be a terrific fit for the newly released cars in rF2. First corner at historic Interlagos alone would be worth the money. Alex72, vegaguy5555, Emery and 5 others like this. Adrianstealth, vegaguy5555, kimbo and 1 other person like this.